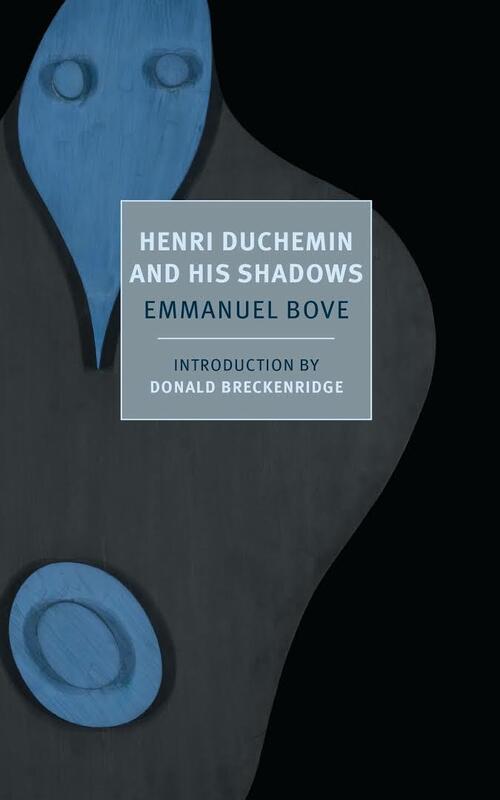 Moving from one neglected French writer (Violette Leduc) to another, Emmanuel Bove was born in 1898, publishing throughout the twenties and thirties. His first novel under his own name was My Friends in 1924, though he had previously been writing popular fiction using a pseudonym. He was unable to publish during the Occupation, and wrote his final novels after escaping to Algiers, only to die in 1945. A number of his novels have been translated into English but most are out of print; Henri Duchemin and His Shadows is a translation by Alyson Waters of a collection originally published in 1939, La Dernière Nuit. Duchemin’s loneliness, rather than his poverty, seems to be at the root of his crime. The stranger invites the narrator for lunch, declaring, “You have a friend in me. Every time I am able to make someone’s life a little less painful, I do so.” As the story goes on to demonstrate, however, friendship brings with it not only joy, but disappointment. Friendship, it seems, is not to be relied on; and neither, if the stories in the second half of the book are anything to go by, is love. In ‘What I Saw’ the narrator is convinced he sees his girlfriend in a taxi kissing another man and is powerless before her denials. In ‘Is It a Lie?’ the wife stays out all night and her husband must decide whether to believe her story or not. In ‘The Story of a Madman’ the narrator tells all his loved ones that he does not wish to see them again. ‘The Child’s Return’ works in reverse: a narrator separated from his family is traveling to visit them, but the reunion is not as straight-forward as he had hoped. Despite this cynicism, he evokes a sympathy for his characters which borders on affection. They are well worth accompanying on their sad journeys. You are currently browsing the archives for the Emmanuel Bove category.